Grew up with Paleo Faliro Piraeus (Greece) juniors. Made his debut with Paleo Faliro Piraeus, during the 1999-00 season, in the Greece A2 League. Signed for the 2005-06 season by AEK Athens. Signed for the 2006-07 season by PAOK Thessaloniki. Signed for the 2007-08 season by Panionios BC Athens. Played theretill the 2009-10 championship. Signed for the 2010-11 season by Ikaros Kallitheas. Signed for the 2011-12 season by PAOK Thessaloniki. In March'12 moved to Germany, signed by Alba Berlin Basketball Team. 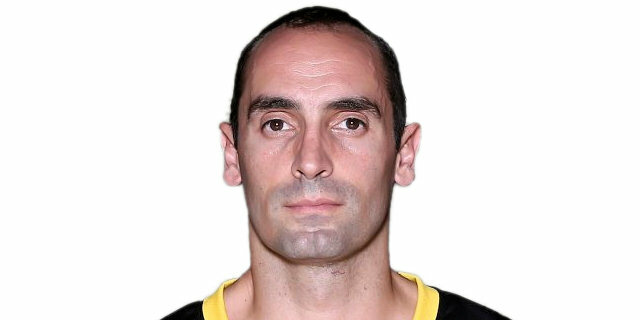 Signed for the 2012-13 season by Kolossos Rodou. Signed for the 2013-14 season by AGO Rethymno. Signed for the 2015-16 season by AEK Athens. Played the 2007 and 2010 Greek All Star Game.